Many people have thickened, discolored toenails and fingernails. 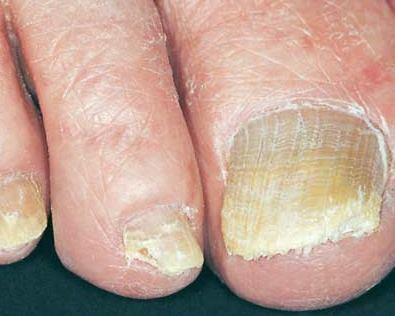 About 50% of these abnormal nails are due to a fungal infection of the nail bed, matrix, or nail plate. The medical terms for this type of fungal infection are onychomycosis or tinea unguium. Fungal infections of the nail affect up to 3% of the population mainly in developed countries. Men are more often affected than women and usually later in life, after the age of 40. Toenails often serve as barometers of our health; they are diagnostic tools providing the initial signal of the presence or onset of systemic diseases. 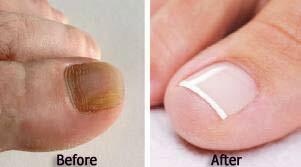 For example, the pitting of nails and increased nail thickness can be manifestations of psoriasis. Concavity--nails that are rounded inward instead of outward--can foretell iron deficiency anemia. Some nail problems can be conservatively treated with topical or oral medications while others require partial or total removal of the nail. Any discoloration or infection on or about the nail should be evaluated by a podiatric physician. Many people with this condition are embarrassed to show their feet. It has been reported that many people have psychological side effects due to this condition. Many patients of Dr. Ravaei have hid their feet from their partners for years due to this condition. This condition could be specially bothersome in the gym, the pool or the beach where no shoe gear is being used. 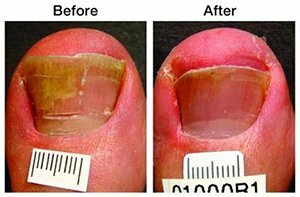 Fungal infection of the nail or as medically called tinea ungium or onychomycosis, is often ignored because the infection can be present for years without causing any pain. It is usually caused by Trichophyton rubrum; this infection rarely has any systemic side effect. Once this organism invades the nail bed it changes the color of the nail, the texture of the nail and the strength of the nail. The nail could become brittle. This infection could happen rapidly but it mostly takes a long time to progress. The disease is characterized by a progressive change in a toenail's quality and color, which is often ugly and embarrassing. Don't apply polish to nails suspected of infection--those that are red, discolored, or swollen, for example. Dr. Ravaei can detect a fungal infection early, culture the nail, determine the cause, and form a suitable treatment plan, which may include prescribing topical or oral medication, and debridement (removal of diseased nail matter and debris) of an infected nail or use of a laser. Newer oral antifungals, approved by the Food and Drug Administration, are currently being used to treat fungus. They offer a shorter treatment regimen of approximately three months and improved effectiveness. Dr. Ravaei may also prescribe a topical treatment for onychomycosis, which is not as effective of a treatment modality for fungal nails. Patients need to know that the oral antifungal is a very strong medicine which requires the patient to get a liver test to make sure she or he is able to take this medicine. Once the results are normal the patient maybe dispensed the medication. The patient needs to return to office halfway through the treatment for further testing. Finally, it should be mentioned that this medication could have a systemic side effect. That is the reason that some patients opt to go with the laser treatment. The latest weapon against fungal nail or Onychomycosis is laser. This treatment was started being utilized in 2008. 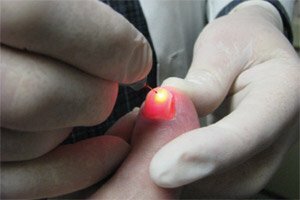 A toenail fungus laser works by shining a focused beam of light in a narrow range, more commonly known as a laser, into a toenail infected with fungus (onychomycosis). The laser penetrates the toenail and vaporizes fungus embedded in the nail bed and nail plate where toenail fungus exists. 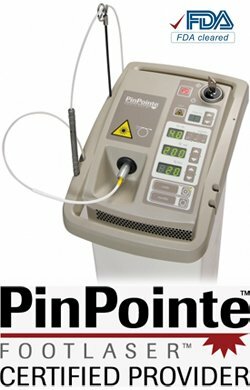 The toenail fungus targeted laser is tuned to a specific frequency that affects cells that are responsible for infection. 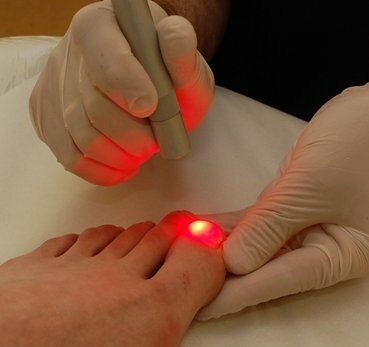 Patients usually arrive at the office and once the diagnosis is confirmed, the laser is applied to the toe. No anesthesia or pain occurs during the procedure, as the procedure is mostly painless. 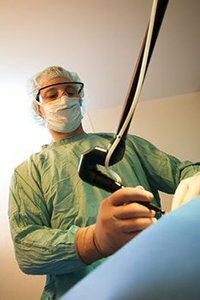 Once the procedure is done, the patient may return to their work or any other activities. In other words no post-op care is required. A patient may also apply nail polish to their toe. Patients need to know that even though the laser works immediately, it takes sometime for the new nail or the normal looking nail to grow out, a period of up to six months. This treatment is not guaranteed to work and so is every other medical procedure. The advantages to this procedure are that the patient does not need to take any pills and or the patient does not get any blood test. Furthermore, the treatment most often could be done at once. This procedure is not covered by any insurance and it needs to be paid by the patient.